Alternate fine-brushed and polished stainless steel case 39.0 x 39.0 mm. Fluted crown. 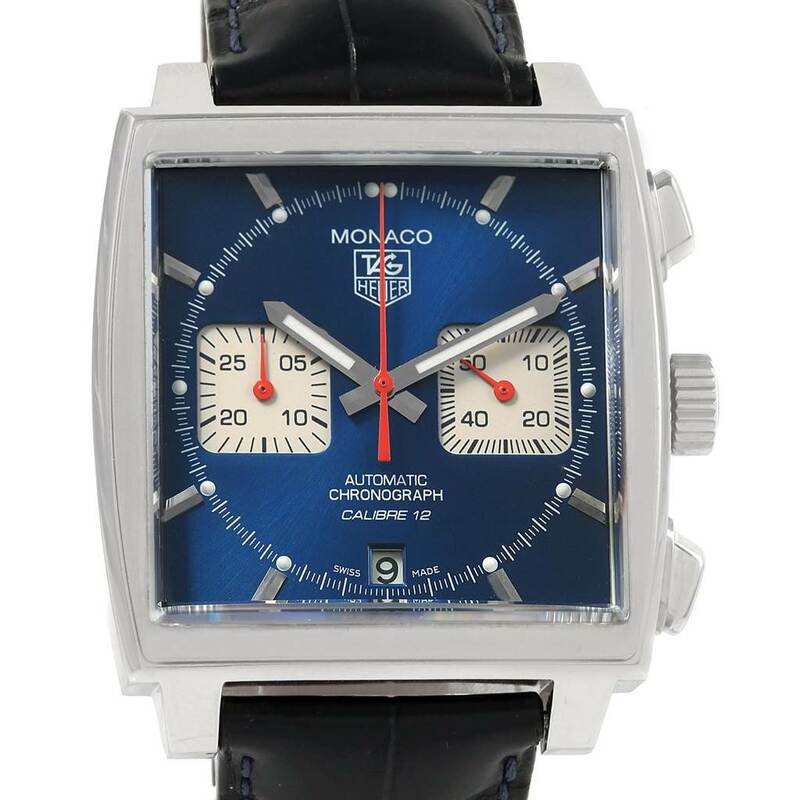 Blue dial with raised polished, nickel-plated index hour markers and luminous hands. Date window at 6. Minute markers around the inner ring. 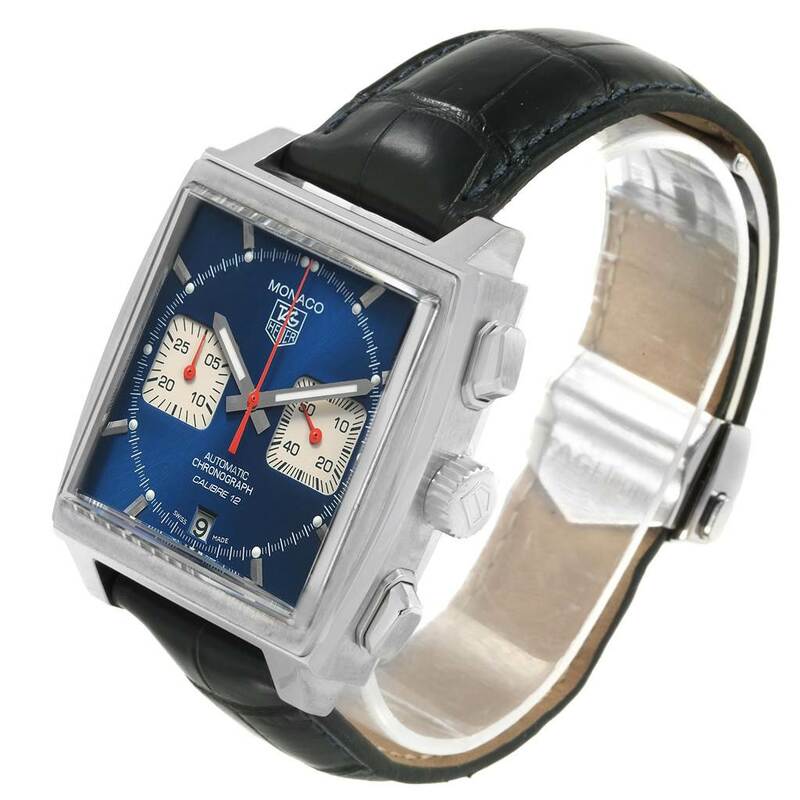 Two chronograph sub-dials - 60 seconds and 30 minutes. 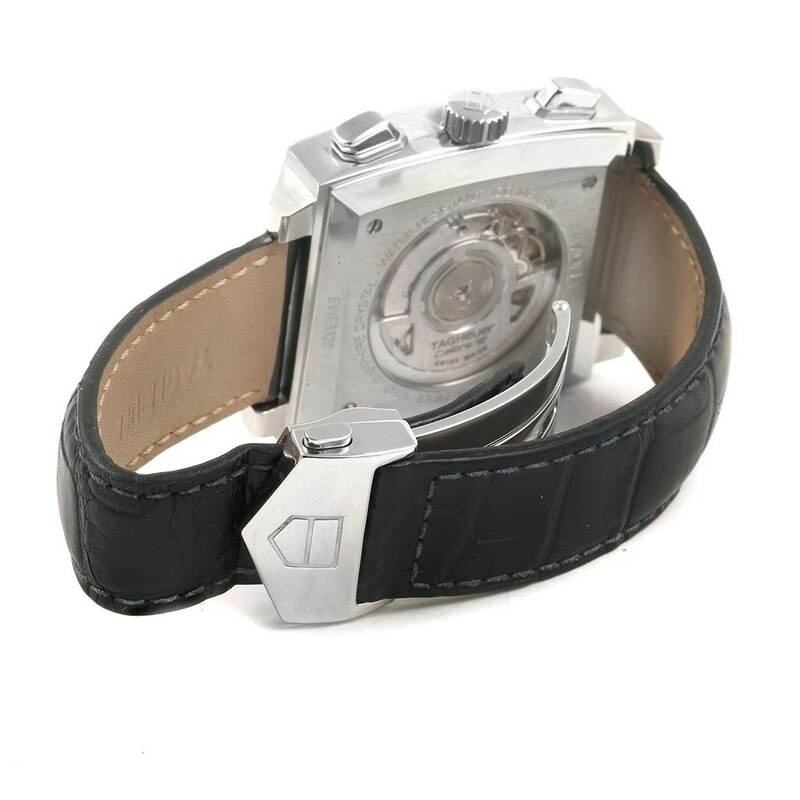 Black leather strap with Tag Heuer stainless steel deployent buckle. 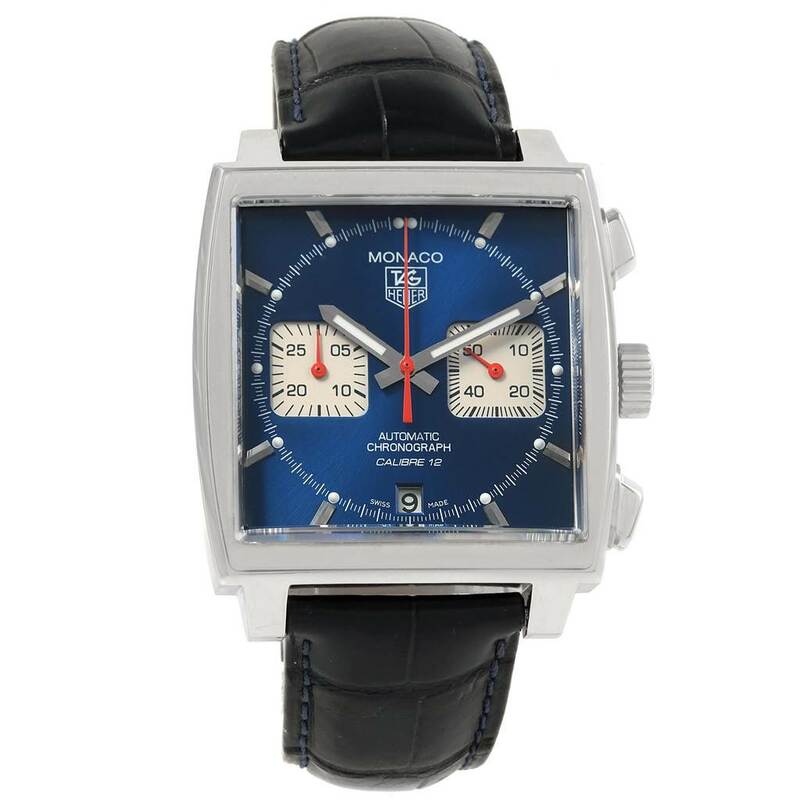 Tag Heuer Monaco Calibre 12 Blue Dial Black Strap Mens Watch CAW2111. Automatic self-winding movement. Alternate fine-brushed and polished stainless steel case 39.0 x 39.0 mm. Fluted crown. Fixed stainless steel bezel. Scratch resistant sapphire crystal. 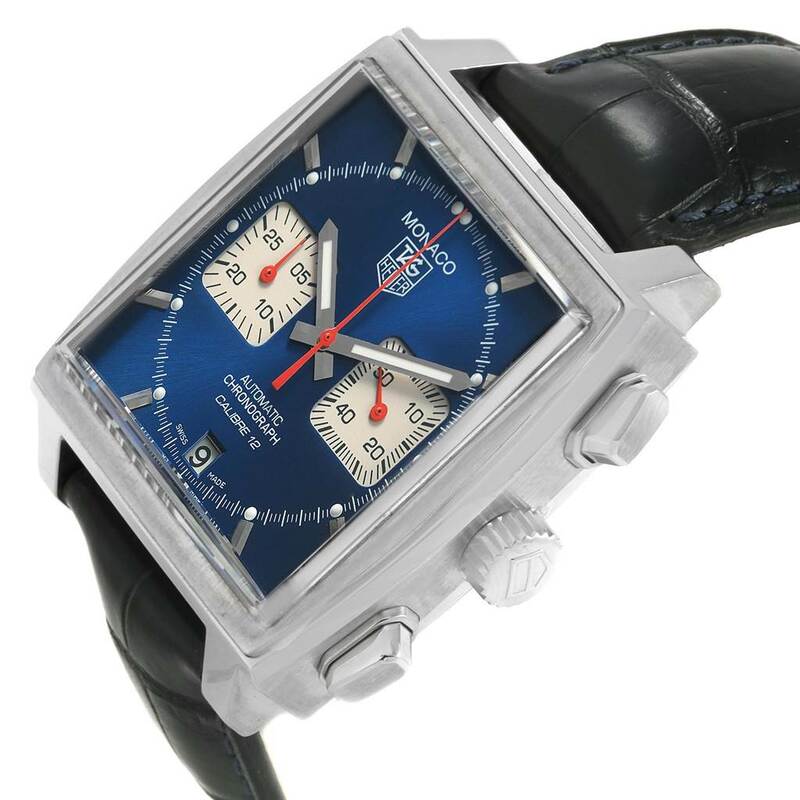 Blue dial with raised polished, nickel-plated index hour markers and luminous hands. Date window at 6. Minute markers around the inner ring. 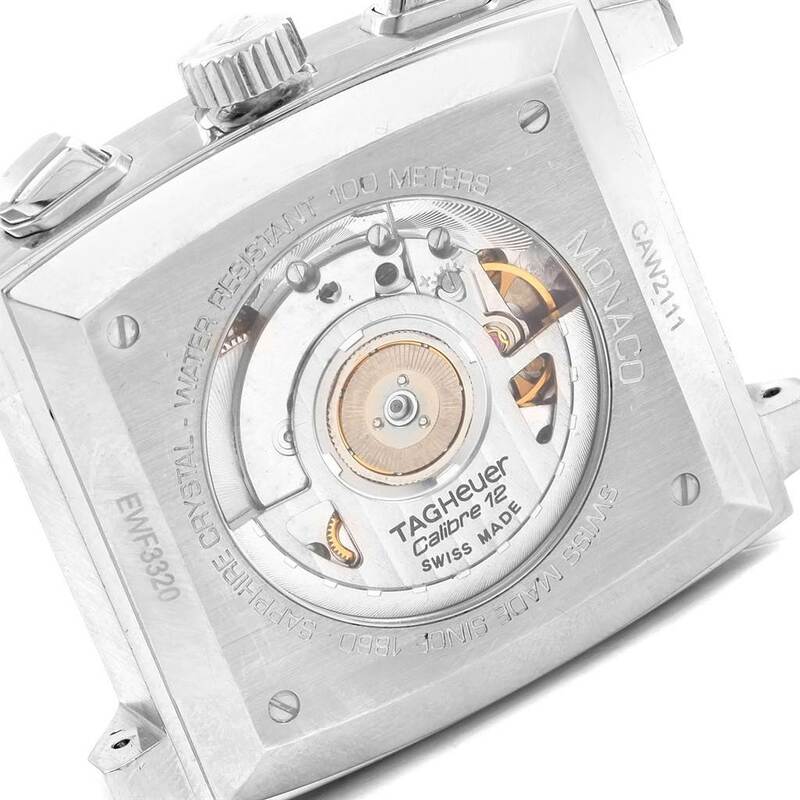 Two chronograph sub-dials - 60 seconds and 30 minutes. 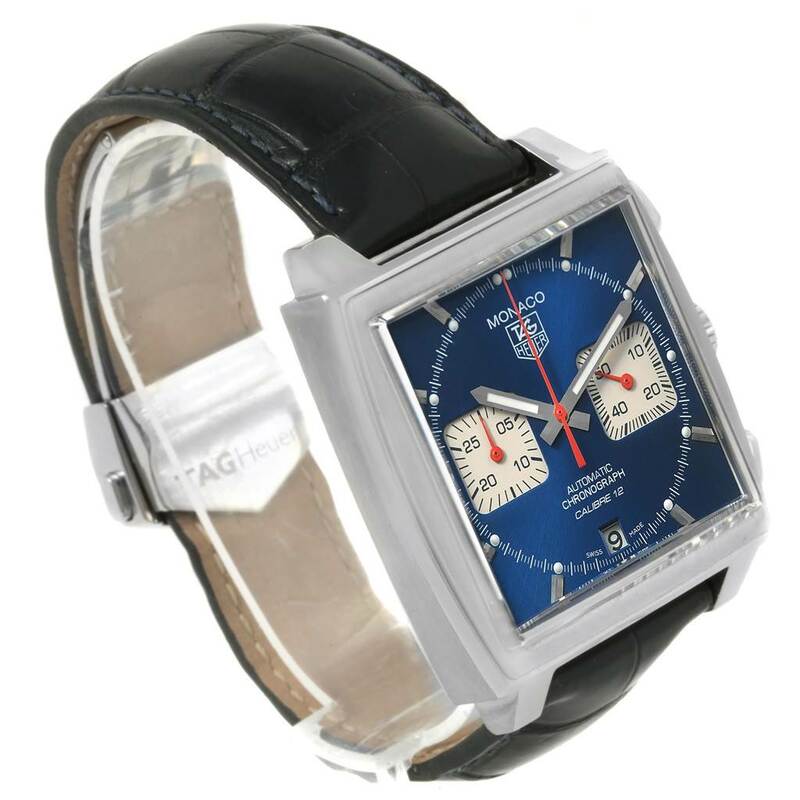 Black leather strap with Tag Heuer stainless steel deployent buckle.